The open floor plan of the two-story Taos Villa Number 9 feels spacious, yet cozy and intimate at the same time. Additionally there is a ground-floor courtyard off the dining area. Seating areas are fluid, so you can gather close to the fireplace, spread out to watch the large screen TV, or socialize comfortably with others in the kitchen and dining areas. Great place to stay. Check in was easy. Central location to shops and restaurants. Loved it. Excellent stay and beautiful condo. Would definitely recommend this rental. We had an absolutely wonderful stay! the house was perfect and exceeded our expectations - we just wish we could have stayed longer. I highly recommend this home and would definitely stay here again! Big, beautiful home!! We thoroughly enjoyed our stay and 8 of us slept comfortably - also the kitchen had everything we needed to cook for a large group. Excellent place to stay in Taos. The place, location, furnishing everything was excellent. we will certainly use it again during our next rip to Taos. Malin, the host was very helpful in every way. House was roomy, clean, the kitchen was well stocked and in a great location (walkable to the square downtown). We would stay there again! Great stay! Nice villa and service. Walkable to town and free parking for those who want to drive up to the slopes. Best rental experience ever! Not only was the staff very professional and accommodating, but the unit was incredible. The kitchen was the most well appointed I've experienced in a short term rental. Thanks to all for a fantastic long weekend!! This was the perfect place for our visit to Taos. The location is right down the street (walkable) from the main square for restaurants, galleries & shopping. The condo is large and gorgeous, and Malin was so helpful. We especially loved the outdoor fireplace on the second floor patio. It's a quick trip to Taos Ski Valley & to the trailhead for the full moon snowshoe hike we took near Angel Fire with Taos Snowshoe Adventures. We hope to return next winter, as three full days went by too quickly! Host greeted us with warm hospitality when we arrive. Rental was exactly as advertised. We plan to rent again the next time we visit Taos. Definitely would recommend stay here. Really lovely place! 4 different balconies/courtyards to enjoy. This place is even better thank the pictures. Check-in was easy, location could not have been better, and the place was so clean! Will definitely stay again! Great location and a very comfortable house. Great place to stay! They host was very accommodating and available. The villa was just minutes from the Taos plaza and a short drive/ride to Taos Ski Valley. Couldn't have asked for more to make our weekend great. House is in a great location, short walk to Plaza and not a long drive to skiing. House is wonderfully maintained, well stoked with a great spacious layout. Check in was easy, Malin met us on time and was very helpful for recommending restaurants in the area. Would definitely recommend this property. The welcome and hospitality was incredible. The location perfect for skiing at Sipapu ski valley or Taos ski valley, across the street from an amazing spa, & close to great places to eat. This home was beautiful, clean, and well-heated. It was exactly as described in the post. During check-in, we asked about local restaurants and were provided excellent recommendations. Excellent choice overall - immaculately clean, equipped above and beyond what you can need, very comfortable in all regards, super communication with managers from first inquiry to post departure, great location ie quiet but easy walk to the center of town along a very scenic and interesting street. 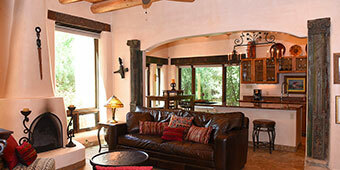 For luxury vacation rentals in Taos, the Taos Villas offer an enchanting retreat in the heart of Taos, New Mexico. 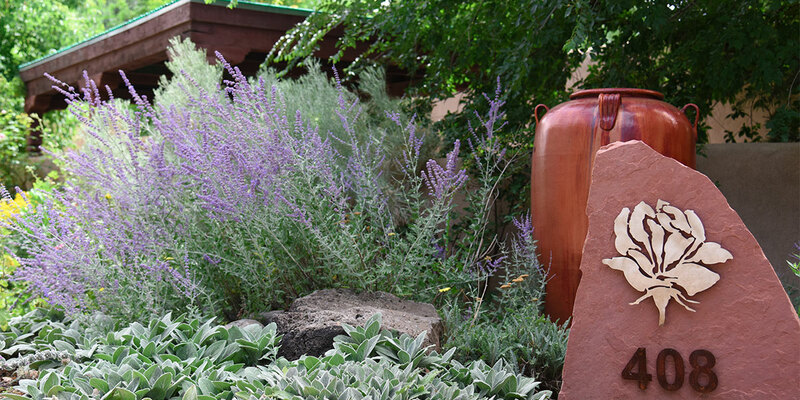 Nestled in the lush, private, walled development of Los Rosales de Taos, yet within close walking distance to the famed Taos Plaza, these thoughtfully-appointed accommodations allow you to enjoy the tranquility of the property, yet be in the heart of the art, shopping and dining scene of the historic square within minutes. Each of the Taos Villas has been painstakingly decorated in its own individual eclectic style with fine art, rich architectural accents and local artisan products, to ensure that your accommodations truly feel like your very own vacation home. Enjoy a leisurely, therapeutic bath in a large soaking tub after a long day of skiing….. or settle in by a roaring fire in the kiva fireplace to warm your body from the day’s adventures….. or breathe in some fresh mountain air while resting in one of the private outdoor seating areas of your individual courtyard and / or balcony. However you choose to wind down and chill out, your Taos vacation rental at the Taos Villas is the quintessential home away from home in which to relax and recharge. If you prefer to stay in and enjoy the amenities of your vacation rental accommodations, a fully-equipped designer kitchen gives you the option to prepare your own basic or gourmet home-cooked meals. Large kitchen appliances include a stainless steel refrigerator, dishwasher, and a gas stove and oven. Small kitchen appliances include a microwave, coffee maker, toaster and blender. Unless you have a very specific need for a more obscure appliance, you should find everything you need to prepare and serve practically any meal. If you enjoy grilling, you will love the gas grill, grilling utensils and propane provided in the private courtyard of each individual Taos Villa. If you go the route of cooking at home, there are several high-quality grocery stores in close proximity to the Taos Villas vacation rental property, and we provide a listing of these for you in the Welcome Book found in your Villa. Many of the items you’ll find even in the standard grocery stores are organic and / or local, and you will find some unique, delicious spices to enhance your favorite dishes. Should you prefer to let someone else take care of the cooking and cleaning, there are dozens of wonderful nearby restaurants from which to choose ranging from casual to fine dining, and many types of cuisine including New Mexican, Mexican, American, Italian, Asian, Vegetarian and more. Again, you will find a listing of our restaurant recommendations in the Taos Villas Welcome Book located in your accommodations, but you can also get a preview of these recommendations here on our website, so you can pre-plan a few “must-try” places. 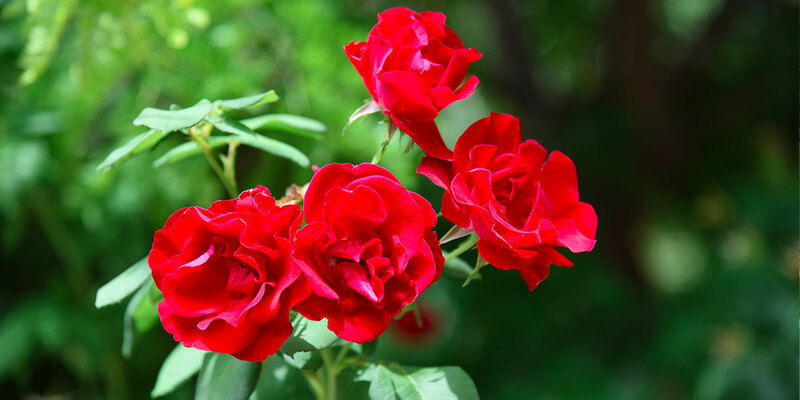 Your Taos vacation rental at the Taos Villas includes provided sheets and towels, but should you find it necessary to launder any of your clothing, there is a washer and dryer in each Villa, plus some laundry soap to get you started. You will also find an iron and ironing board for your use in each individual Taos Villa. 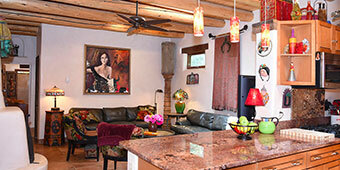 Choosing the right Taos vacation rental for your group’s needs is easy. Each of Taos Villas’ 2-bedroom Villas will accommodate up to six guests (two guests in each of the two bedrooms, plus two guests on two twin air mattresses which are generally placed in a common room). Based on that, depending on the privacy needs of your group, six guests may prefer to choose one of the 3-bedroom Villas so each guest can be accommodated in one of the bedrooms. Each 3-bedroom Villa can accommodate up to eight guests (two guests in each of the three bedrooms, plus two guests on two twin air mattresses which are generally placed in a common room), keeping in mind that two of those eight guests should be comfortable using a common room for sleep. Each Villa has at least one ground-floor bedroom option, in case some members of your group have trouble climbing stairs. The Taos Villas vacation rental property does allow and welcome children, however we offer no specific accommodations for infants or children (no cribs, high-chairs, outlet covers, etc. ), so please be sure you can bring with you any necessary items for child guests of the Taos Villas. Unfortunately the Taos Villas does not allow any pets. 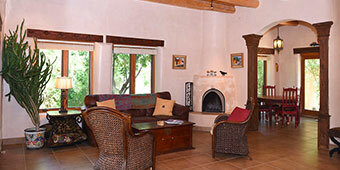 Each Taos Villas lodging rental includes two parking spaces, regardless of the number of guests on the reservation. Depending on which vacation rental Villa is chosen, the parking spaces may be any combination of garage, carport and / or open space. These parking spots will accommodate most vehicles, however we have found that large trucks and SUVs may not fit into the garage, and may stick out of the carport spaces (blocking the way for other traffic). If you are bringing more than two vehicles, and/or larger trucks and SUVs, you may need to park at the free lot just down the street toward the plaza (at the corner of Quesnel and Kit Carson Roads). If you require an additional parking space and we are able to accommodate more than two vehicles per rental, we will make every attempt to do so, but this cannot generally be determined in advance as it will depend on the overall bookings of the other Taos Villas during the dates of your stay. Whether a winter or summer get-away, Taos, New Mexico has so much to offer vacationers. Winter activities include skiing, snowboarding, snowmobiling, and cross country skiing. Summer activities include white water rafting, hiking, horseback riding, fly-fishing and hot air ballooning. For those who prefer less active endeavors, Taos is home to many galleries and artisan shops you can explore at your leisure. Year-round there are special festivals in and around Taos, and in summer there are concerts, outdoor movie nights and more. The Taos Pueblo and the Enchanted Circle are fun expeditions for the entire family. When choosing your Taos vacation lodging, the Taos Villas vacation rentals are a comfortable and affordable option, in a convenient location to all Taos has to offer. We hope to have the opportunity to host you in one of the beautiful Taos Villas, and let that serve as your home-base from which to explore the amazing town of Taos and the surrounding area.